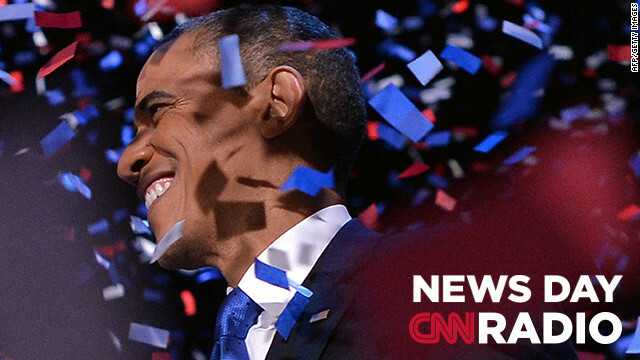 US President Barack Obama celebrates after delivering his acceptance speech ion Chicago on November 7, 2012. "I'm hoping that the people that voted for Romney actually give Barack Obama a chance to prove himself. Four more years." "I'd like to see the federal government take the same position it has with medical marijuana: If you're not violating state law you're not going to be a target of federal enforcement." "That's one thing that Puerto Ricans, here on the island, are unaware of... But, in essence, Congress is the one that decides."